Sun yourself in the city this summer – the coast has come to town. 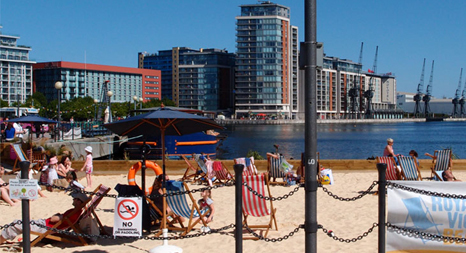 What is the Dock Beach? A stretch of sandy beach that provides a great day out with family and friends. Lazing in a deckchair, building a sandcastle, relaxing with the Sunday papers and eating ice cream on London’s Beach! 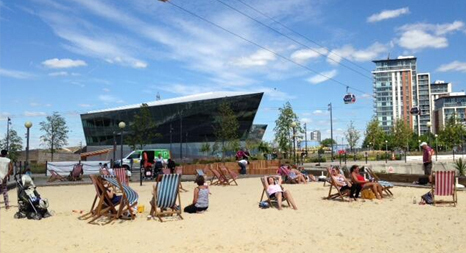 For more information, please contact the Royal Docks Team who are running the beach this summer.